So having never read much of the Harry Potter series (except for the few lines I’ve read over my wife’s shoulder), and most of my knowledge coming from the movies, I got into a conversation about the four houses mascots. Now I know that the houses come from the last names of some prominent wizards, but they do lend themselves pretty easily to specific animals. Gryffindor, griffin, pretty obvious. Ravenclaw, the bird, again self explanatory. Slytherine, some snake like creature. 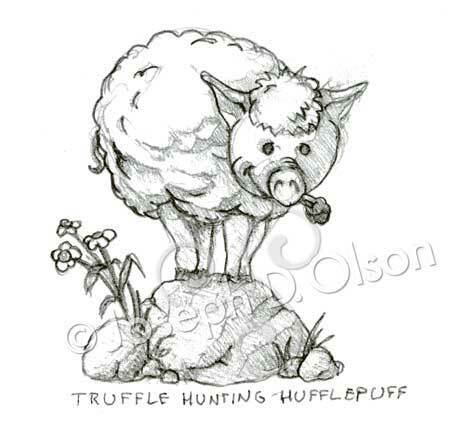 But then we’ve got Hufflepuff, what’s a hufflepuff?